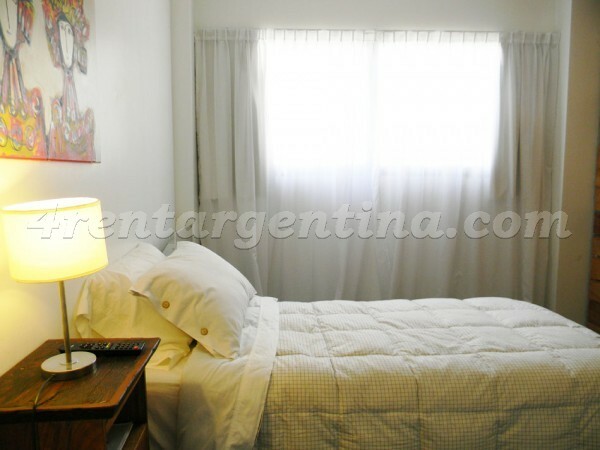 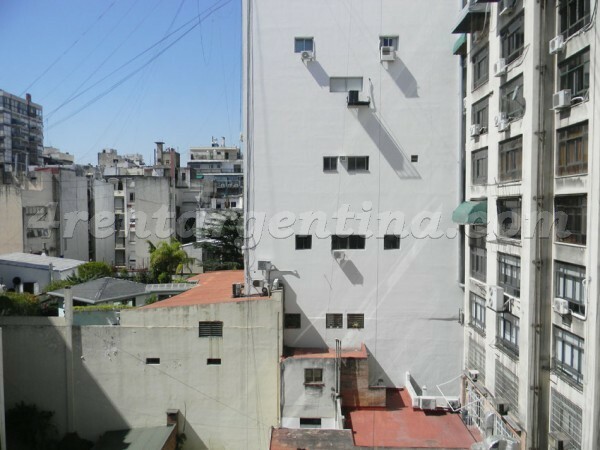 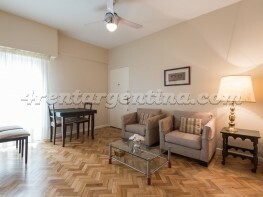 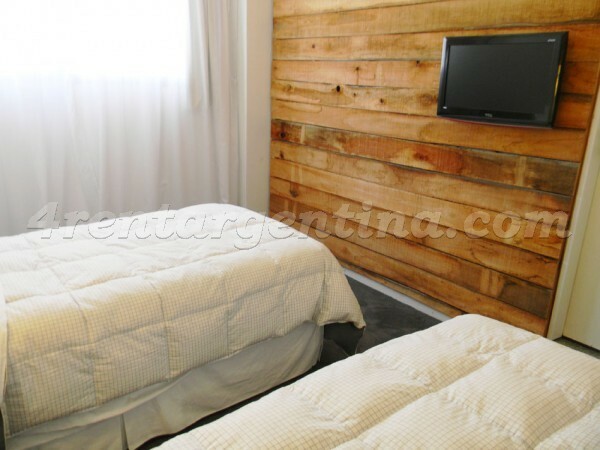 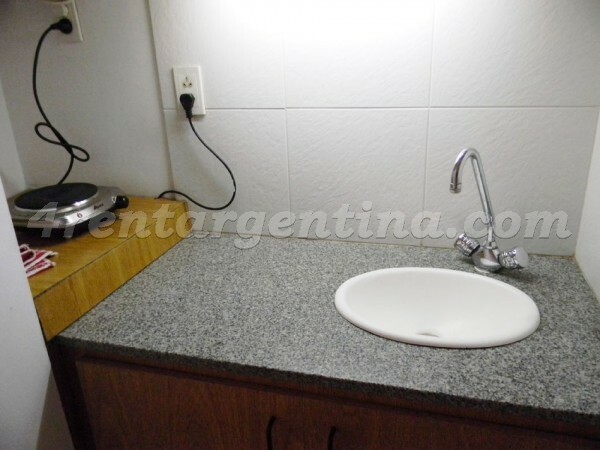 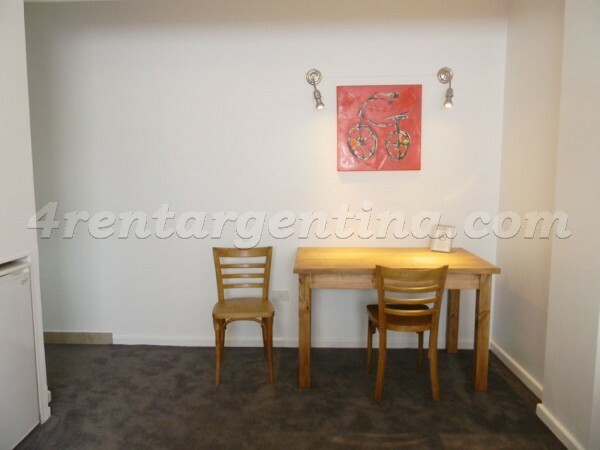 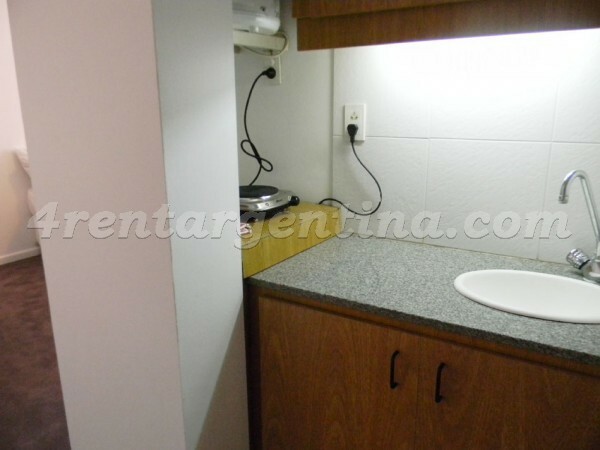 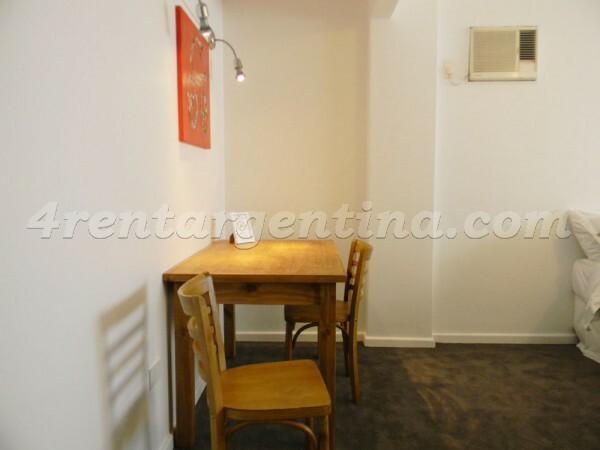 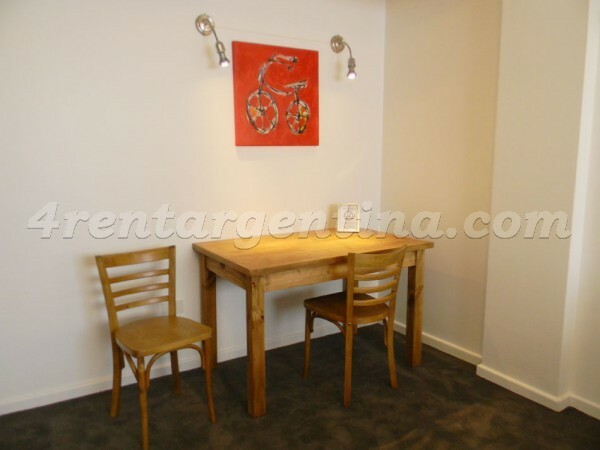 Comfortable furnished apartment for temporary rent located in Downtown Buenos Aires, a few meters away from the famous Córdoba Avenue and only two blocks away from Santa Fe Avenue, in an area surrounded by several shops and means of transportation. 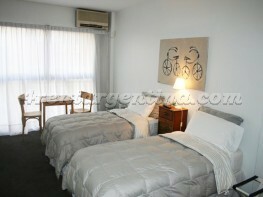 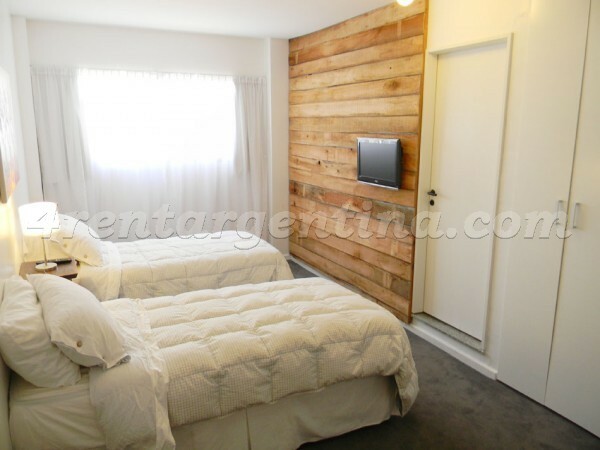 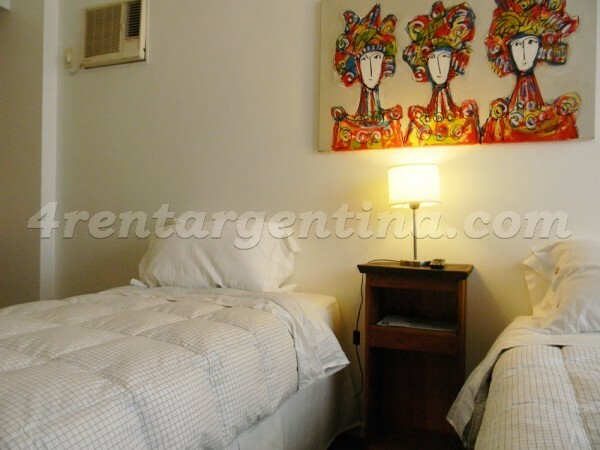 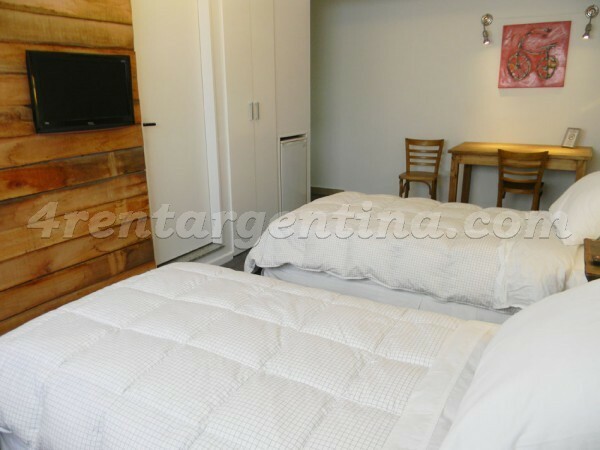 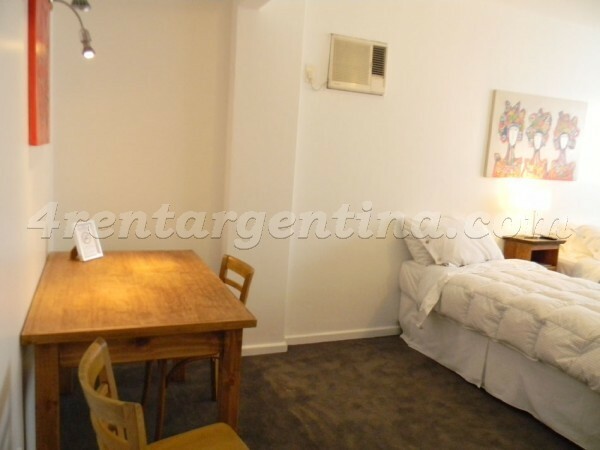 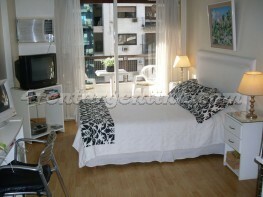 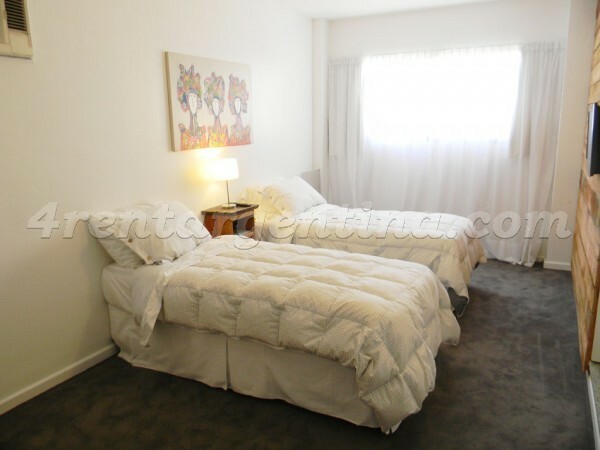 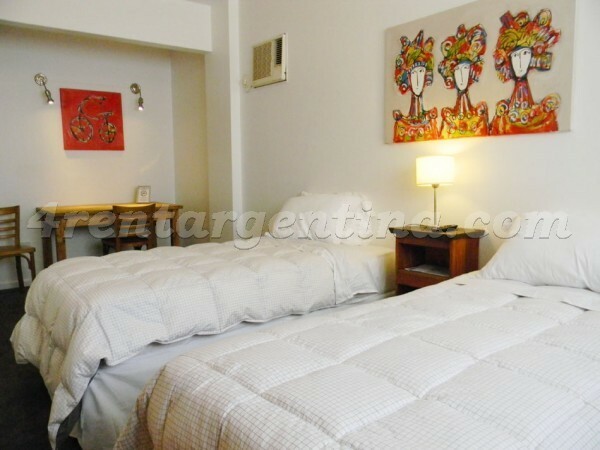 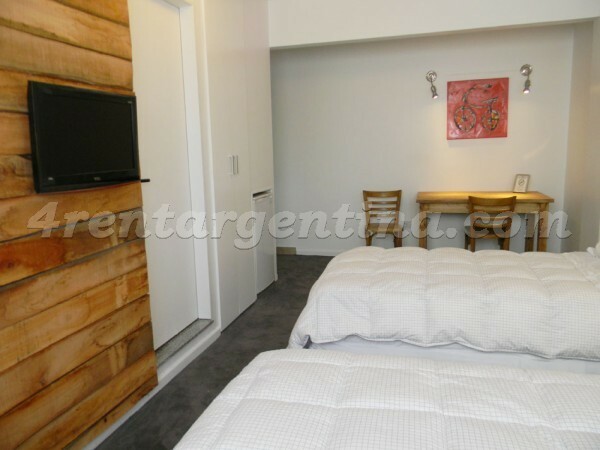 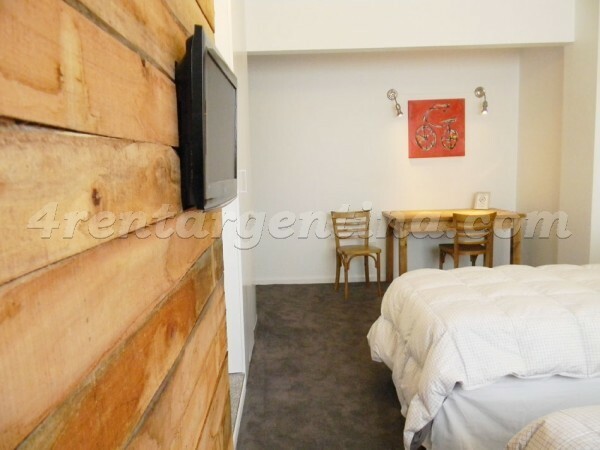 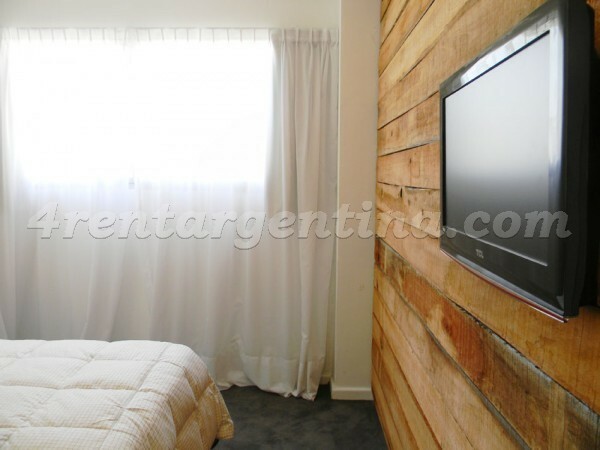 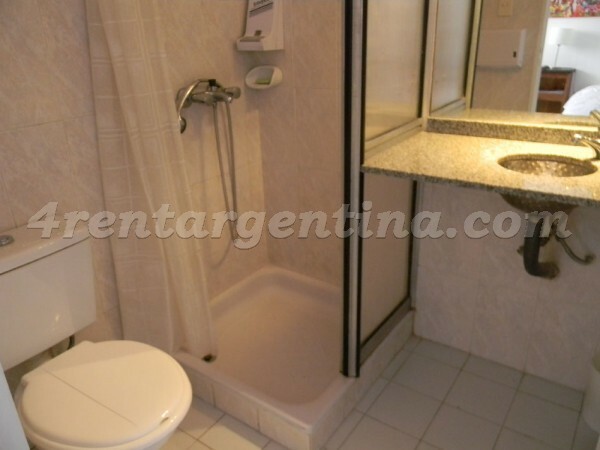 This beautiful studio apartment is ideal for two people, features a carpeted floors and has everything you may need for an excellent stay in Buenos Aires: two single beds that can be turn into a double bed, a kitchenette and a bathroom with shower. 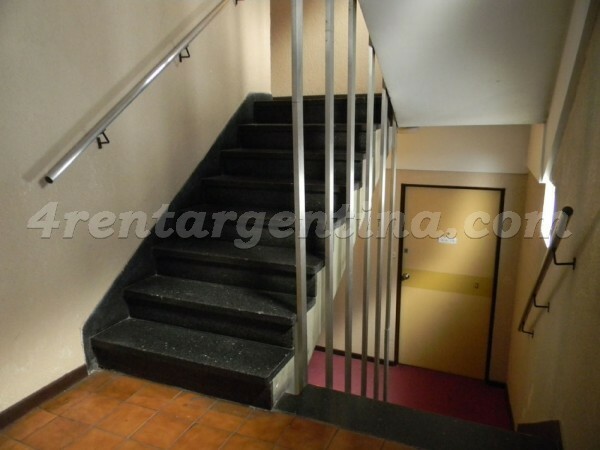 There are a few steps before getting to the apartment.